Velana International Airport, Maldives: 11th April 2019 – Launching ceremony of Velana International Airport’s (VIA) new mobile application & Maldives Airports Company Ltd (MACL)new website was held at Velana International Airport on 11th April 2019. 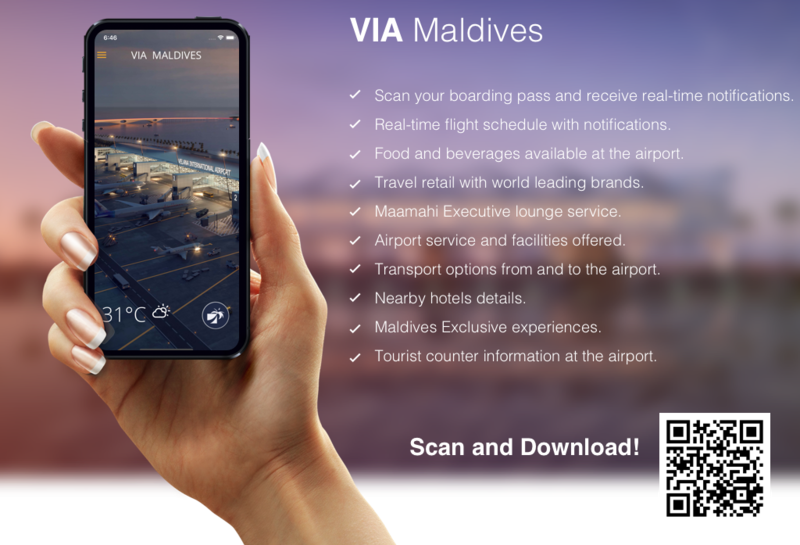 The new Mobile Application for VIA or “VIA Maldives” is the latest tool for the passenger experience enhancement. Now anyone can easily access our airport and flight information such as real time flight schedule updates, Track your flights with live notifications and get latest update about passenger services & facilities and airport map along with many other features. In the coming months “VIA Maldives”, mobile application will further upgrade to E-commerce features such as travel retail shopping, lounge bookings etc. VIA Maldives” mobile application will be available through apple app store and google play store. MACL Acting Managing Director Mr. Moosa Solih, officially launched the new Mobile Application (VIA Maldives) and new MACL website (www.macl.aero) in special ceremony held at VIA . Airport stakeholders and staff of MACL attended the ceremony. Maldives Airports Company is the operator of Velana International Airport and has been massively involved in destination marketing and bringing in new airlines to the Maldives to boost up the tourism industry. MACL has embarked on one of the biggest projects in the history of Maldives in developing the future Velana International Airport such as the development of a brand new international passenger terminal, a new code F runway, a new cargo terminal complex and a new fuel farm along with hydrant system and major infrastructure developments at Velana internationals Airport.